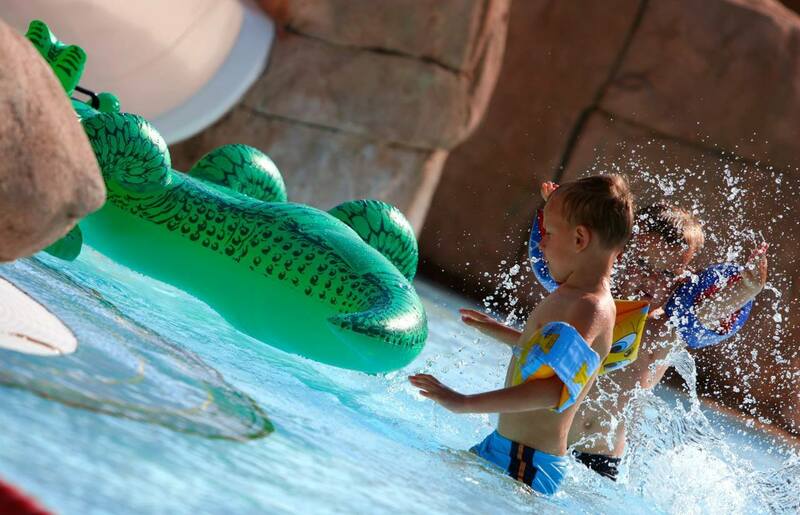 You are guaranteed to have a crush upon the Le Bois de Valmarie aquatic park! Our space reserved for swimming and idleness, which stretches across an area of 400 m², is almost certain to seduce you with its benefits! 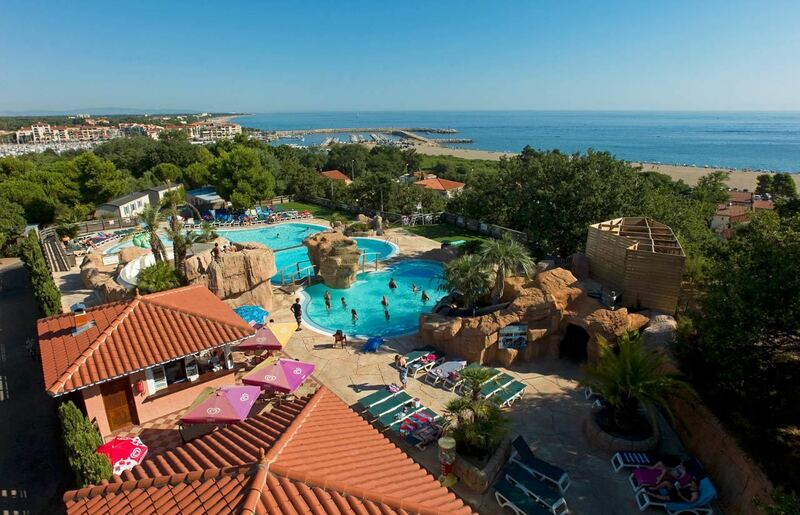 Laid out at the peak of the hill, the aquatic park indeed offers you an appreciable view over the Mediterranean, the Bay of Argelès-sur-Mer and the Racou Beach located below it. Surrounded by both dense and lush vegetation, abundantly bathed in sunshine, this gives holidaymakers the impression of being plunged into a postcard landscape with a tropical-style atmosphere. 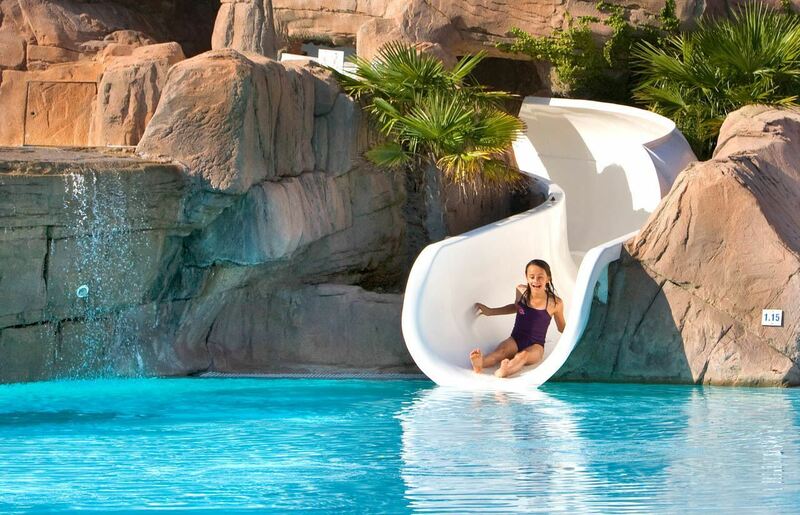 Although the landscapes contribute to this atmosphere, the vast artificial lagoon, heated pools, aquatic slides, waterfalls and water games also speak volumes. It should also be noted that our aquatic park has a paddling pool available for the very young to swim in and appreciate the delights of water, under the watchful eye of their parents or an accompanying adult! 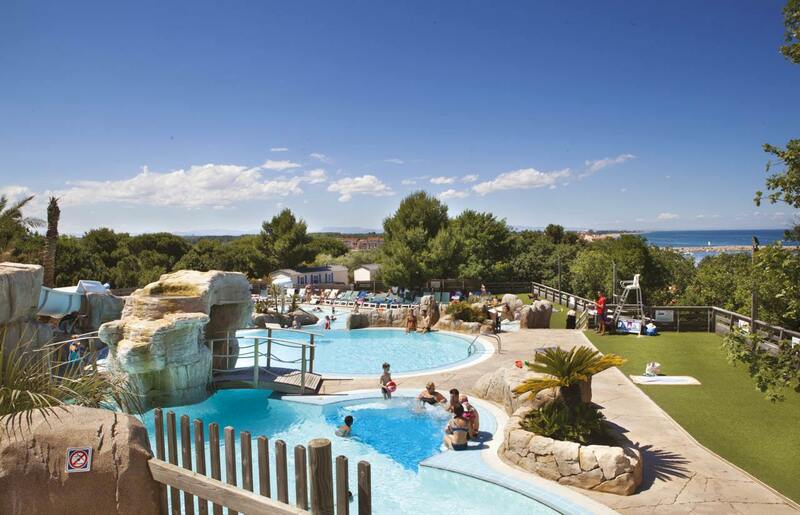 A Heated Aquatic Park for Swimming, Enjoyment and Relaxation. 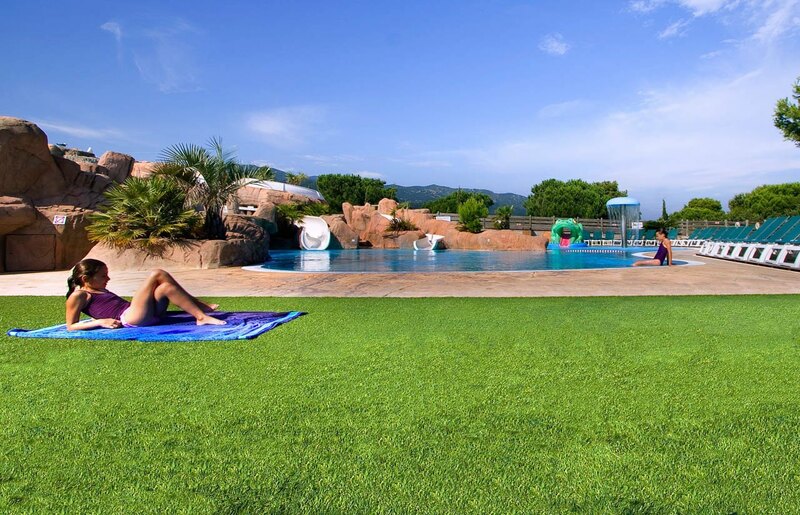 activities such as aquaerobics sessions, for an invigorating wake-up or even aquabiking.